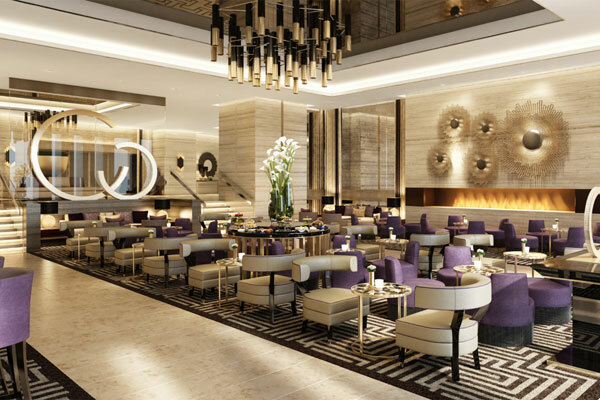 A new Hyatt Regency hotel has opened in Kuwait, marking the reintroduction of the Hyatt Regency brand to the country. The opening marks the first of two Hyatt properties in collaboration with Tamdeen Group, the second of which is Grand Hyatt Kuwait, set to open in 2020. The Hyatt Regency brand offers a seamless experience that connects guests to everything they need under one roof with a full range of services and amenities, including notable culinary experiences, technology-enabled facilities for collaboration, expert event planners with exceptional attention to detail, and flexible spaces to work, engage or relax. Located in Kuwait’s thriving oil and gas district within the city’s largest waterfront retail and leisure destination, Hyatt Regency Al Kout Mall provides guests with easy access to the shopping center’s additional offerings including Al Kout Mall, Souq Al Kout, Al Kout Marina, Al Kout Fisherman’s Wharf, and Al Kout seaside promenade. The property is located 25 minutes away from Kuwait International Airport and within a 45-minute drive to the Saudi Arabian border. Hyatt Regency Al Kout Mall offers 200 contemporary and spacious guestrooms, including 53 Junior Suites, 67 Regency Suites and 14 two-bedroom Premium Suites. All guestrooms and suites feature a workspace and exceptional views over the Arabian Sea or vibrant Fahaheel city. Suite guests enjoy an apartment-style space with a separate living room, kitchen or kitchenette, and complimentary access to the hotel’s exclusive Regency Club Lounge. Hyatt Regency Al Kout Mall features a range of culinary experiences that meet guests’ diverse needs and preferences. Andiamo, the hotel’s elegant Italian restaurant centres around the lively theatrics of Italian cooking, featuring a dynamic open kitchen display and authentic signature dishes. Guests can refresh and relax over healthy juices and smoothies at the rooftop pool lounge or enjoy a casual meal in The Lobby Lounge – a contemporary outlet offering freshly brewed coffee, infused teas and trendy mocktails. The property features 25,833-sq-ft of flexible meeting spaces, including five co-working spaces equipped with standard office supplies, accommodating up to 22 people. Four meeting rooms spanning 4,520-sq-ft boast ample natural light, breakout rooms, an outdoor terrace and the latest audiovisual technology, whilst the beautiful 5,113-sq-ft pillarless Regency Ballroom with generous high ceilings is ideal for weddings. A dedicated expert event manager is available to ensure flawless execution and a stress-free experience.